Hypo Alpe Adria was being carved up into three units following a change of ownership. 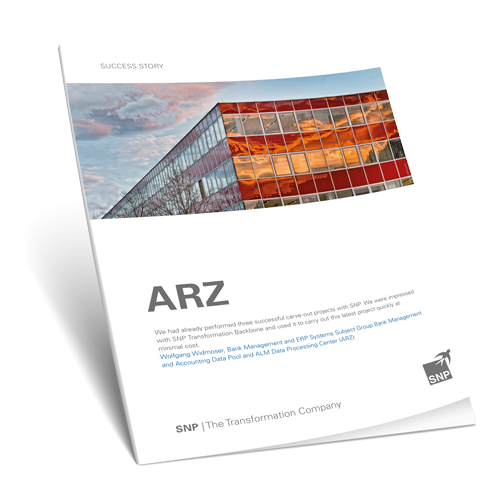 ARZ now faced the challenge of splitting up the SAP company codes and transferring them to two target clients. ARZ decided to execute this project with SNP Transformation Backbone®, the world‘s first standard software that automatically analyzes changes in IT systems and implements them in a standardized way.